Writing blog content is one of the most challenging issues many bloggers face. It is usually fun, but not all times. And when you have to create content in and out for your blog, newsletter, article marketing, guest blogging etc. blog content creation can become a tedious task. I often get asked: How do you start writing a blog post, Jane? And here is my answer to this question. In this post I explain exactly how I start writing a blog post. Fixing yourself on the topic means getting hold of it in your head, in the first place. If you do not have a “feel” for the topic, you cannot even start to put a word on your screen. It just won’t happen. Make sure you understand the topic first. If the topic is too complicated for you, you should start doing some research. Spend some time in reading about what others have written on the topic. If, after some research, you feel confident about writing on that topic, yes you can proceed. If not, please do not force yourself to write on the topic. It won’t work. It will bring up an awful post for sure. Since you’re writing about the topic, it is *very* important that you have enough understanding about the subject. This could be a no-brainer; but many bloggers believe that they can write on any topic if they just do a bit of research. Second, a mere understanding is not enough. You have to be able to come up with your own angle, your own ideas and your own strategies for the topic matter. Simply reading a bunch of other blog posts and rewriting them won’t cut it. You will just be producing rehashed content which is generously available on the internet and nobody is interested in that kind of content. In continuation with what I just talked about, doing your own research on any topic is kinda mandatory before you start writing a serious blog post. You might know the “complete” solution to a particular problem. But it is still good to do a bit of research to see what others have discussed. There could be overlaps between your tips/solutions and theirs; that’s fine. But doing your research will help you first of all know what’s already been talked about and what’s missing, what could be improved and so on. I never start writing a post without an outline. Whenever I get a post title in my head and whenever I record it, I immediately do an outline. Even if I am not able to draft a perfect or a finalized outline, I simply put the ideas as bullet points. Starting a post with the outline already in place makes it MUCH easier to fill up the blocks and finish the post. Not just that, you can easily tackle the BIG task of writing a whole blog post by breaking it into chunks where you write one sub-heading (one item of your outline) at a time. Later on, just make sure to proof read the post at least twice or more to confirm if the post flows smoothly between the different sub-heads. When you have your own solutions for a particular problem, it is MUCH easier to start writing a blog post. I don’t know about you but this is how I feel – I feel very confident in writing a blog post when I have my own solutions/insights at hand. It is a great feeling. This confidence surely helps me break the ice and start writing a blog post without much hesitation. Just wanted to give you a short note here – make sure the tips or the solutions you share are applicable. If you are writing a theory-based post or providing an insight, it is fine as long as you throw in at least a couple of applicable takeaways in the post. That’s how you’ll be able to make your readers feel warm and as well generate traffic through your blog posts. The introduction or the first few lines of the post are the most challenging to start with. Some bloggers write the introduction at the end. But I prefer to write it in the beginning as I start the post – I’m not saying this is the best strategy, but this works for me. If you’re like me, you probably know that the hardest part in “starting” a blog post is writing the intro or the opening. Ironically, write the opening in the end, if you find it really challenging. You don’t have to spend hours together starting at the blank screen after all. How to start writing a blog post: Did I answer the question? I hope so. If not let me know in the comments. Writing blog content can be tedious if you do not have a content strategy in place. So make sure you get super focused about your blog’s purpose and come up with a content creation strategy. 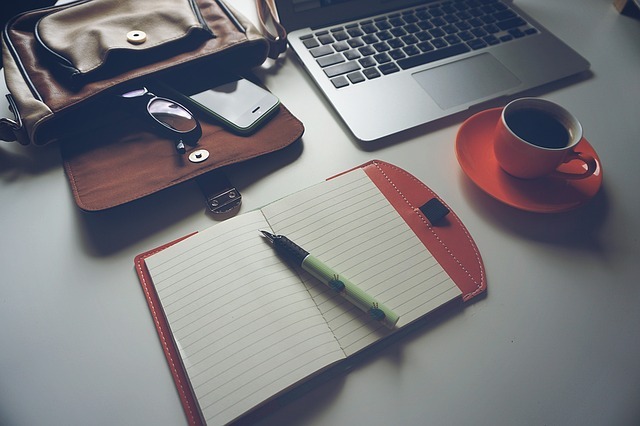 Once you have one in place, make use of these tips to start writing a blog post! When I go to write my posts, I generally use the same kind of tactic that you do – get my initial research and things that I will reference (EG: Other posts, places I will reference, etc. ), and then fill in my outline. The outlines of my post generally change very minimally – I keep them the same and let the thoughts roll. Great post, keep up the great work. Getting the research done initially helps a lot. Thanks for stopping by Joe! The best way to express your thinking is Blogging now-a- days. By the help of blogging we can put different subjects to think of to our friends and for others too. I gained a good points from this blog which I will keep in mind while writing my own blog. Good luck with your writing Smith. How much time it usually take you to write a decent article? This one for example? Even the most unknown topic to write takes me about 5-6 hours (including research, looking for key words, outlines and thinking the idea).. And is it like from by your side? Evan yes an average post takes 5-6 hours for me. But usually it takes about 7 hours including multiple proof readings. I don’t do it all in one sitting though. Readers appreciate if you could provide one or two applicable ways. And about ‘the opening part’…It’s a bit difficult for me if not everyone. Writing ‘the opening’ in the end is a good idea as it saves your time. Educative! Thanks, Jane. I used to write my introductions at the beginning, but I find it better for me when I just dive into the “meat” of the article. I tend to make the intro too long and get less focused about the important part of the article. Excellent post Jane and absolutely worth implementing tips. Whenever I start writing a blog post, I make sure to find at least one primary keyword (because I always look for more search traffic) and also find relevant long tail keywords in order to optimize the blog posts without doing any keyword stuffing. That being said, as you said, it all starts with the research. The more time you spend doing the research the more good ideas will come. Also make sure to find the top 10 pages on Google search for the topics you are going to cover. That way you’ll know what is missing and what are the key points that you can use within your own blog posts to make it 10x better. I usually prefer writing longer blog posts (more than 2000 words) and optimize well for both readers and search engines. The key here to write long form of content is to do extensive research. It also has to do with your experience around the niche you are in. If you’re already into marketing, running an online marketing niche blog becomes easier because you know what to say and what advice to give to your target audience. You’re rightly said about the introduction as it’s the first thing your audience will read. If your intro is boring, no one will even skim through the post, let alone sharing or linking to your content. So make sure to use quotes or captivating lines in your intro to make your blog posts worth reading. Thanks for sharing your tips Jane, keep up the great work! Nice tips. Although you have mentioned strong and important points over here. But what should be the ideal time to write a blog post?? You are very true that if we give solutions by ourselves it makes us contented. Matt, everyone is different. To me, mornings are perfect times but I can write almost anywhere, even if its noisy! Jane in my view the best way to start writing post is writing down some key points first. Also I first search the Title of my post on Google and try to make sure that it is unique. Yes Mohsin, outlining a post helps to get it completed really faster. For my, research is the most prudent factor when determening what to post about and how to start. The moment you find the topic which clicks, your natural creating habits will get you off the ground. Kapil, love your approach for writing a blog post. Thanks for sharing it! Nice Article , Dear Jane. Same tactics I follow while making an article. However most of the times I don’t do keyword research. I write according to the taste of my readers . However that thing applies to some niches only. Narender, doing keyword research will help you write on topics that are well searched which means if you are able to rank for that keyword you could get lots of search traffic. But it is also important that you write whatever suits your readers. outlines and first line is always important as it will help users to read the article so i suggest that add the outlines or main point to headings. Thanks, as always, for a great post. What you write in respect of blogging applies to practically every area of life in which we want to be successful. Being average (or worse below average) and not being committed nearly always leads to failure, not success. You are the best example of a person who does their best all the time (look at your blog, it’s perfect in each aspect) and who is committed (you can see that). I Am new in blogging and i want to be a good content writer like you . And after about this topic. i got some useful details. Thanks. After reading your article it gave me to get inspired and continue on content writing. But I can’t hate myself because I love and like to write quality content and can inspired somebody. Very well-explained tips Jane. Sometimes, writing a quality blog post becomes a pressure that we end up getting nowhere. Your step by step suggestions surely helps a lot. Sarah, yup putting pressure on creating a post will lead to nowhere. And even worse, most of the times the outcome will be a terrible blog post. Awesome post with great information. I really enjoyed the whole post while reading and I think this post will surely gonna help all the newbies. Writing a blog post is one of the toughest part but you explained it very well. Thanks for sharing this useful tips. how to solve the problem when there is no inspiration to write this article? If you are obtaining a nice and powerful ghost rider, then there is no need to worry about. You’ve explained a lot go useful tricks on writing blogposts. I think this would help me to write good quality blogposts for my blog. As a novice blogger, I always had problems about the intro of post. however your article helped me a lot. Thank you for writing such a great article. Hello Jane! Thank you for your detailed and helpful post! I am trying to find enough confidence these days to approach a blog owner and write for him as a guest. The problem is I am a bit perfectionist and I don’t seem to find the perfect topic for my article. Your post was really helpful! Dragos, you don’t need to publish perfect posts; useful posts are fine. Perfect is a relative word in my opinion. What’s perfect to you might not be perfect to someone else. So keep going! This will always be the questions of first time bloggers. And this must be a constant practice of veterans as well. Thanks for the brillant piece. Thanks for sharing! Apart from what you discussed above, I think one can also use the tools like google trends or twitter trends to get some ideas on what to write about. Thx for your tips. A brilliant post!!! The very endeavor of writing a beautiful blog post is explained in this post in great flair. The crucial point in a post is its content and style. This post can be of much help to the bloggers who are new to the blogging arena. Thanks for the share. I guess the most important part in writing a blog is thinking that it’s not JUST for your followers but it’s for yourself as well. The wonderful thing about blogging is that you can write anything that you want. As a lover of travel and life, I am deeply rooted to writing about the events which happen in my life. There are many blessings that we can enjoy everyday, the important thing is to open your eyes wide enough just to see it. This is quite the post. I’ve always wanted to know how do people start their posts. Looks like our styles are pretty much the same. Thanks for sharing! Hi Jane, agree with your views. 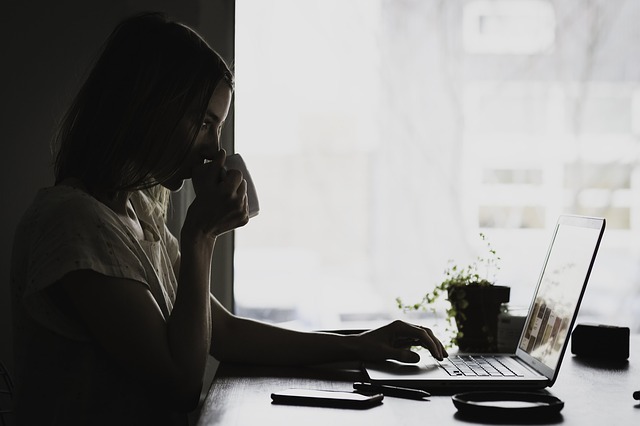 I think when we start writing a blog post, we should really think if that is something a reader would love to enjoy reading, and we should first ask ourselves if we would like to read this post as a reader. If we keep this in mind and also respect the other rules of blogging as you have stated, the post would definitely become a big wave. Solutions are what your readers come to your blog for and the main reason they’ll stick around. Thanks for the link, my dear! I would like to acknowledge your words infact thoughts by thanking you. Its a wonderful post. You have made some very note-worthy points to look upon. Your thinking is simple yet very effective. You have written something which is synchronizing every newbie’s psychology like me. The dilemma which you have kept is almost everyone’s dilemma. One more thing about your article is that “It has questions, along with answers”, which makes them more lively and trustworthy. Jane you have done a fabulous job, many new blogger start their know blog and they did not know how to write a professional blog post, if they read this post they will happy and take new tips about writing a new blog post. keep it up Jane. Finding yourself the correct niche and then keeping the focus on the right kind of content and the quality of content is the major task of blog writing. Thanks for sharing the effective guidelines. This is a good breakdown about writing a post – I’ll be sharing it on Twitter. Personally, I rarely use an outline, though I know it’s quite common among bloggers. I find that as I start writing and getting ideas down, the organization for the post begins to present itself. I also agree with you that the level of comfort you have with the topic makes a huge difference! Thank you for this great and very helpful post! I am new in blogging and I must say I had some difficulties writting my first posts, now I know the next one will be interesting and well articulated thanks to you! I have good experience working on blogs but this is not first time I reached here. I know that tips you share here for blogging are useful but It is problematic for me to maintain outline. you are doing a great job, this has helped many blogger to start their own blog and they did not know how to write a good quality blog posts. It is always great to know how expert bloggers write their blog post like you do. You have provided great tips and it will surely help in creating compelling content for blog. I just read this post and learned something new. Thank you mam this article help me to start blogging and you also motivates me thanks alot. Researching before posting something is really important. If you write something without having proper knowledge then it might create a bad image about you and your blog in reader’s mind. Anyway, thanks for the post! 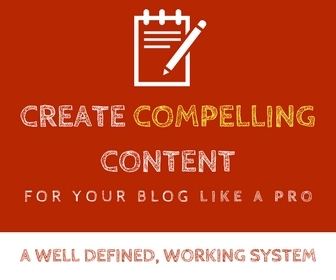 Writing blog content is one of the most challenging issues many bloggers face. so this is a great article. I generally start with keyword research. Usually, I’m able to just jump into writing the article, but if I have case of writer’s block, I simply write out an outline including different variations of the title. Usually that’s enough to get me going. If I’m still having trouble getting started, I use a platform called Brain.FM — which is music for the brain — and it really gets me in the flow of writing. Jane, great article. When I started my blog, I used to do only a little research before writing an article. And I learned a lot from you. However, after several years, I have been running a successful blog and co-founder of a successful company. I like the way you generously giving out information without expecting anything in return. I would love to interview for our new blog post titled Successful bloggers list. Please let me know if you could spare a few minutes? Thanks. Thank you so much Jane madam this is a very helpful article for me again thanks alot god bless you. I have just started a blog and the writing material is not less than the murder of Bahubali for me, but after reading your article it seems that it is very easy. Thanks for sharing this information. You are one of the best & Professional Blogger as you always the best article for writing the best Blogs post. I understand writing about an amazing Blog post is an article and this article really appreciable those have this. Thanks for your article, your article was very useful to me. I would love to have your dedication to blogging, my method is needing to know about a subject, and along the way my writing begins for a blog post. That way documentation for myself can be used by others. Great post, will share it with my friends! I am appreciate your hardwork. In this guide You explain everything deeply about how to write a professional blog post. Hi, I just started blogging not to long ago. I started doing affiliate marketing first. I’m basically a newbie too. I guess you can build a nice website, but getting traffic to it is the hard part. I’ve been building back links and writing posts for more organic traffic. Thanks for the tips, because I had a hard time starting and writing posts. I agree , researching and knowing clearly about your topic makes writing go smoother. It is very helpful for beginners. I am new to your Blog it was 3rd Article I read today and I must say that your Content Hooks are Awesome. please keep sharing such useful tips and tricks. Maybe I will be a good blogger like you.